You’ve heard the proverbial saying, “kids grow up so fast.” Well, we’re pretty sure these super-star dads believe that popular sentiment to be true as well. The following five famous fathers have darling daughters who grew up before our eyes and are simply beautiful. 1. 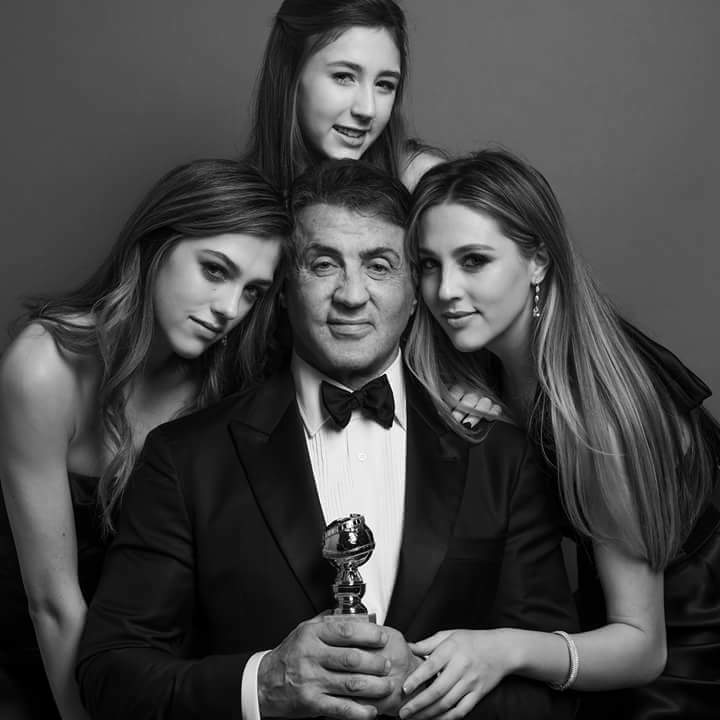 Sylvester Stallone – Sylvester Stallone and his wife, model/entrepreneur Jennifer Flavin, have three lovely daughters: Sophia Rose (1996), Sistine Rose (1998), and Scarlet Rose (2002). Sistine (far left) looks just like her beautiful mom and is taking her career down the modeling path. 2. 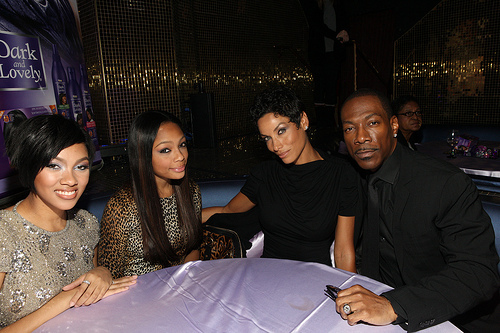 Eddie Murphy – Eddie Murphy is a busy dad. The actor has a total of eight kids and one more on the way! His two oldest daughters, Bria and Shayne Murphy, with model ex-wife Nicole Murphy are gorgeous like their mom. It’s no surprise that the stunning sisters are also models. 3. Stephen Baldwin – Stephen Baldwin and his wife, Brazilian graphic designer, Kennya Baldwin have two children together, one of whom is thriving model Hailey Baldwin. She signed with Ford agency as a child and has done campaigns with Ralph Lauren, Topshop and French Connection. She’s also walked the runway for designers such as Sonia Rykiel, Moschino and Tommy Hilfiger. 4. Donald Trump – Business mogul and Presidential hopeful, Donald Trump, has five children, two sons Donald, Jr. (born December 31, 1977) and Eric (born January 6, 1984) and daughter Ivanka (born October 30, 1981) with former wife Ivana Trump; daughter Tiffany (born October 13, 1993) with ex-wife Marla Maples and his youngest, Barron William Trump, born in 2006 with current wife Melania. 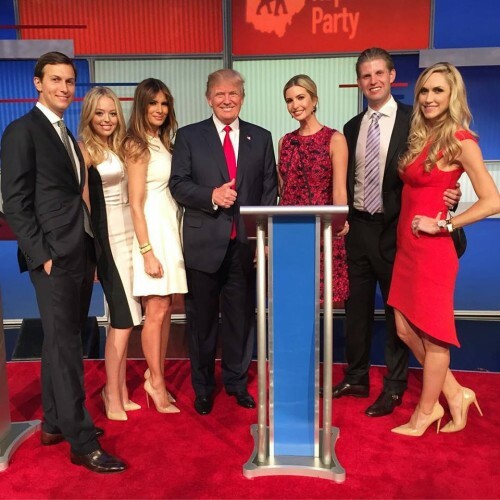 Below, The Donald is pictured with his family including his beautiful daughters, Tiffany, 2nd from left and Ivanka, 3rd from right. 5. 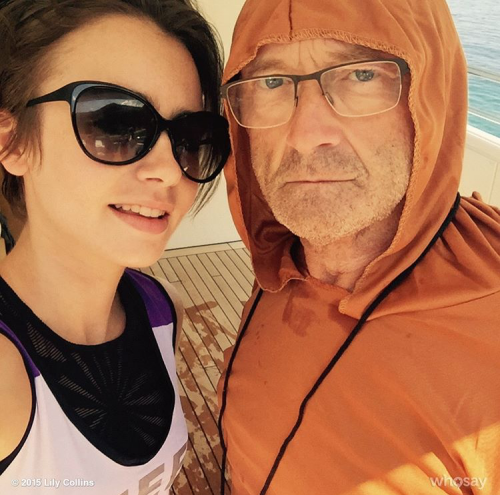 Phil Collins – British-American actress and model Lily Collins is the daughter of English musician Phil Collins and American mother, Jill Tavelman. After her parents’ divorced when she was five, Collins moved to Los Angeles with her mother. Collins has been acting since the age of two.